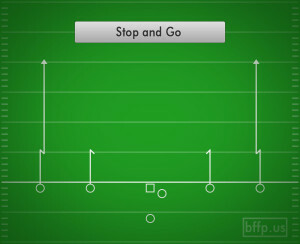 The Stop and Go route is the most famous double move in all of football. 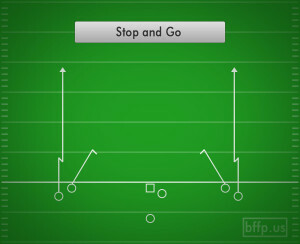 The outside receiver will fake like he is running a 5 yard stop, but will twist and turn quickly up field. 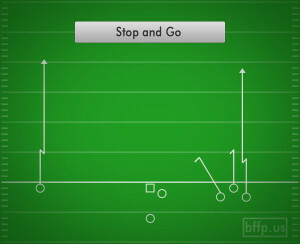 It is imperative that the QB makes a good pump fake to sucker the defense in to jumping up on the short route. 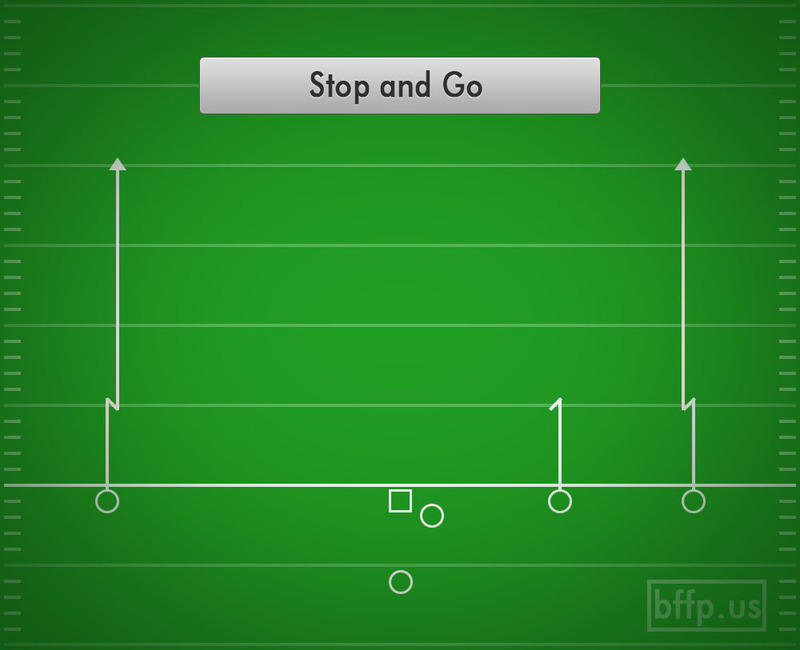 Once the pump fake is successfully completed, the QB must regather himself and get ready to throw the ball over the top of the defense to the receiver who is sprinting up field. 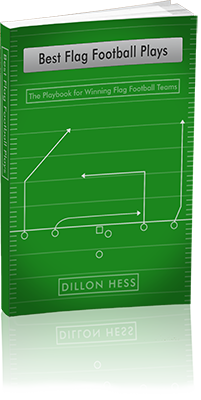 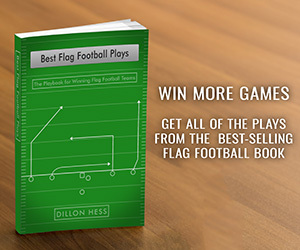 Get the Playbook now and propel your team to Victory!